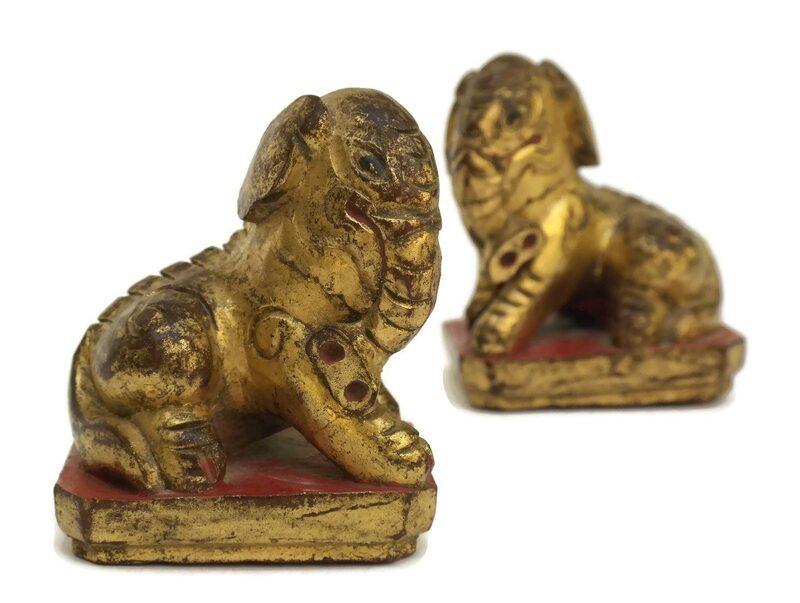 Antique Chinese Gilt Wood Elephant Figurines. 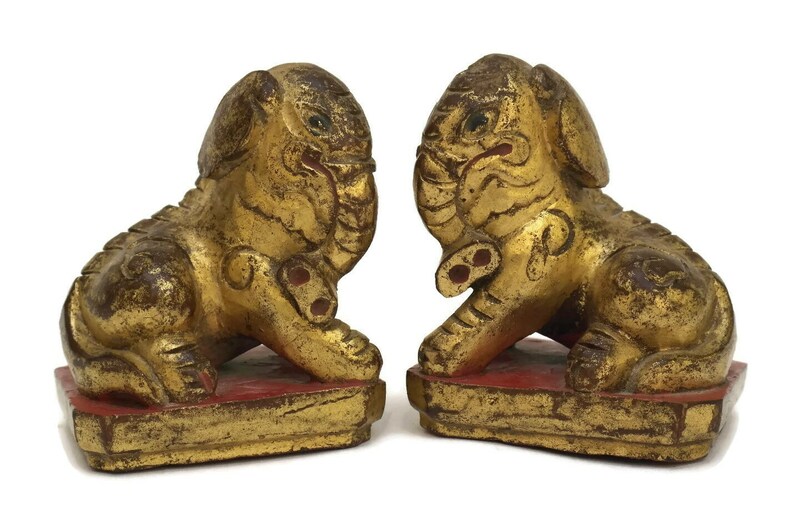 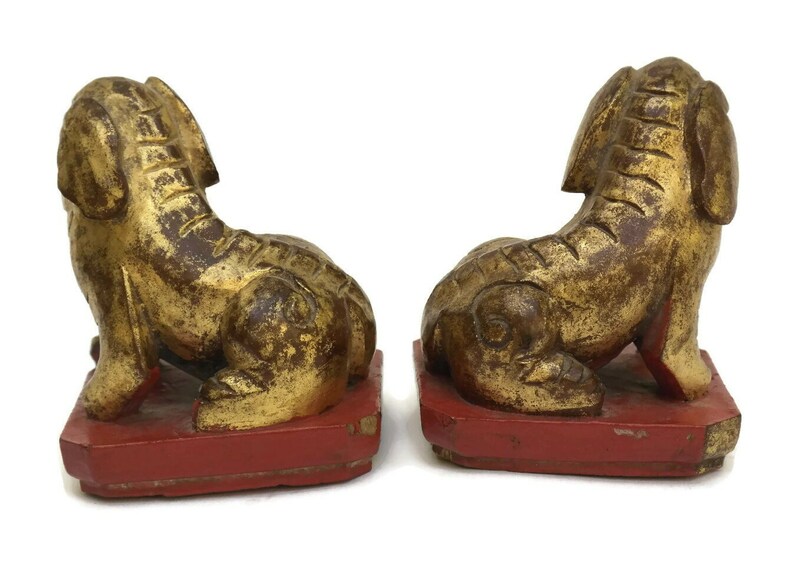 A delightful pair of Chinese antique elephant figurines from the 19th Century. 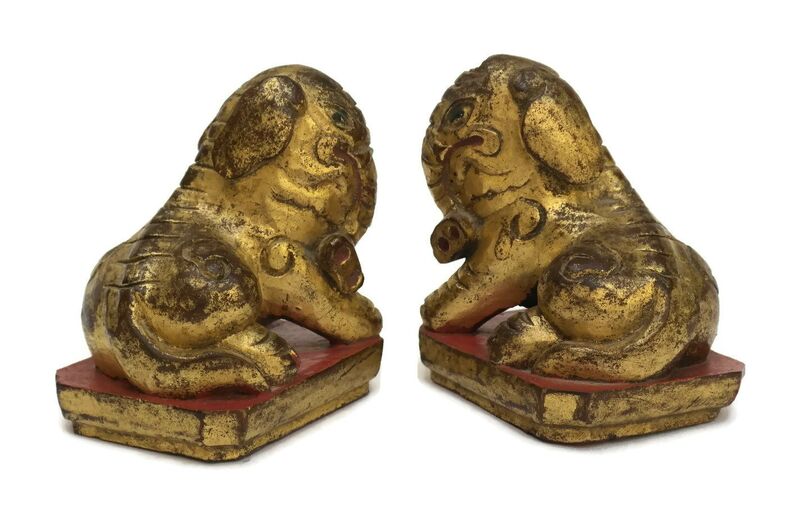 Each of the small animal figures once decorated the posts of a large bed. 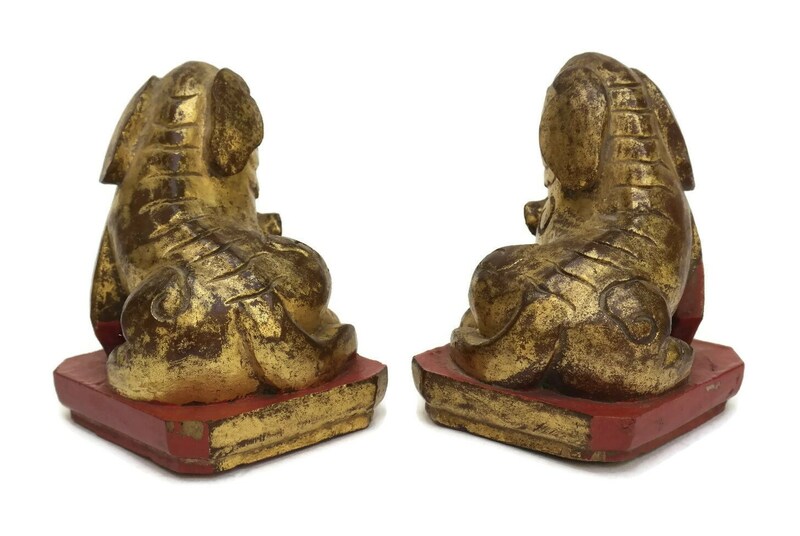 They have been hand carved from wood and portray the figures of traditional seated Asian elephants. 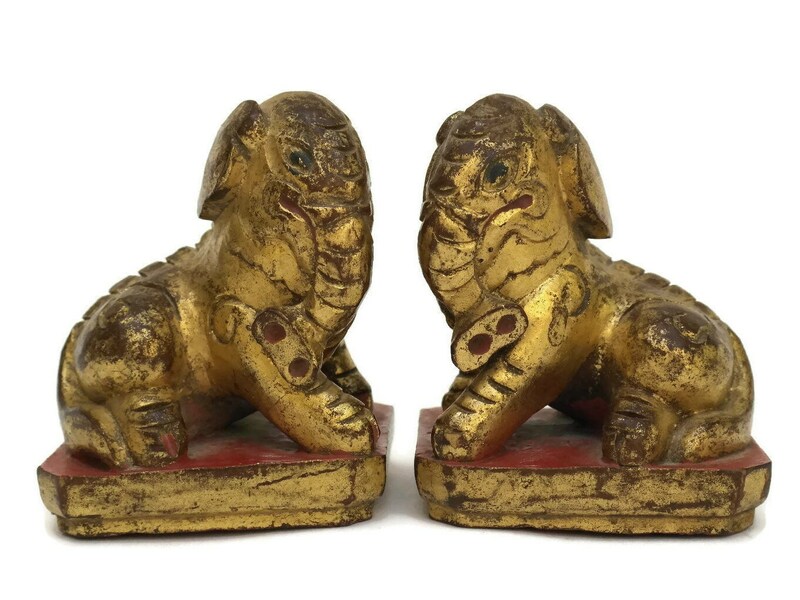 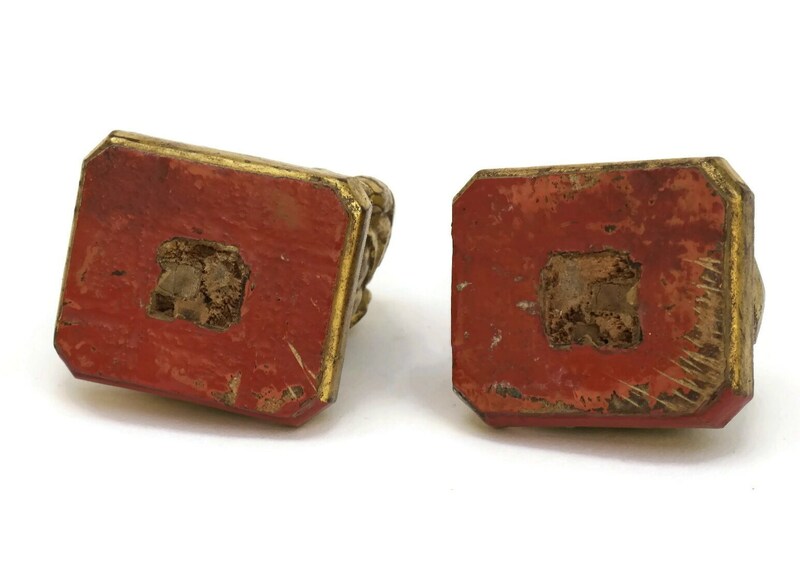 They have been decorated in red lacquer and gilt and feature fine attention to detail. 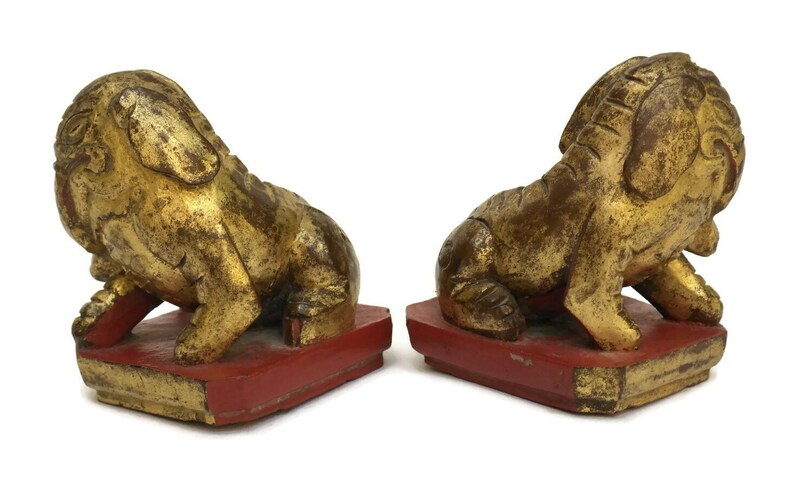 2.5" Tall x 2" Wide x 1.75" Deep. 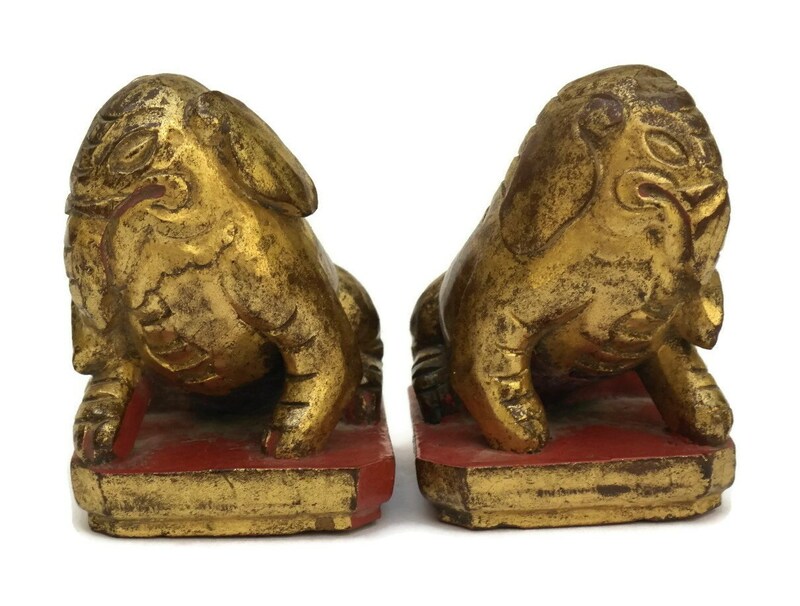 (6 cm x 5 cm x 4,5 cm). 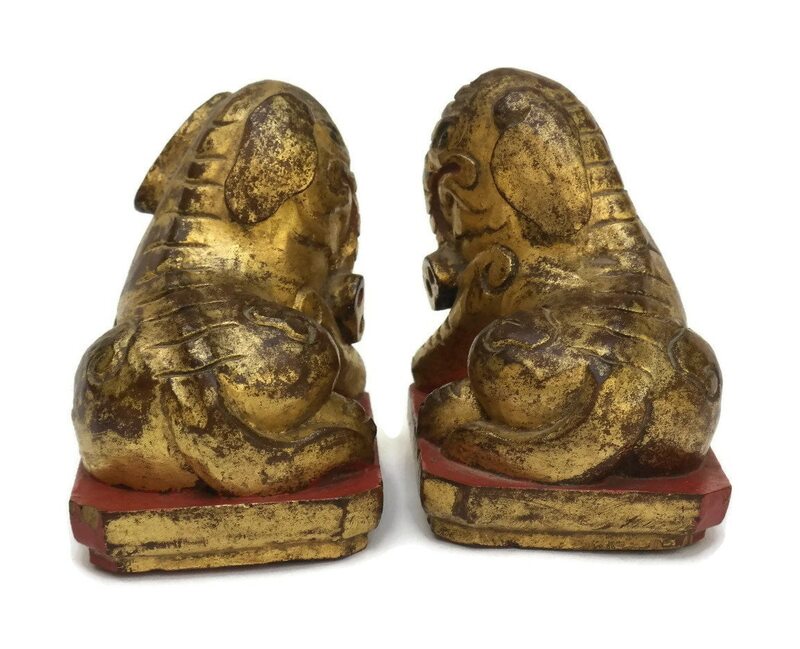 The pair of antique chinese lacquer and gilt elephant figures are in very good condition with light surface marks and wear.